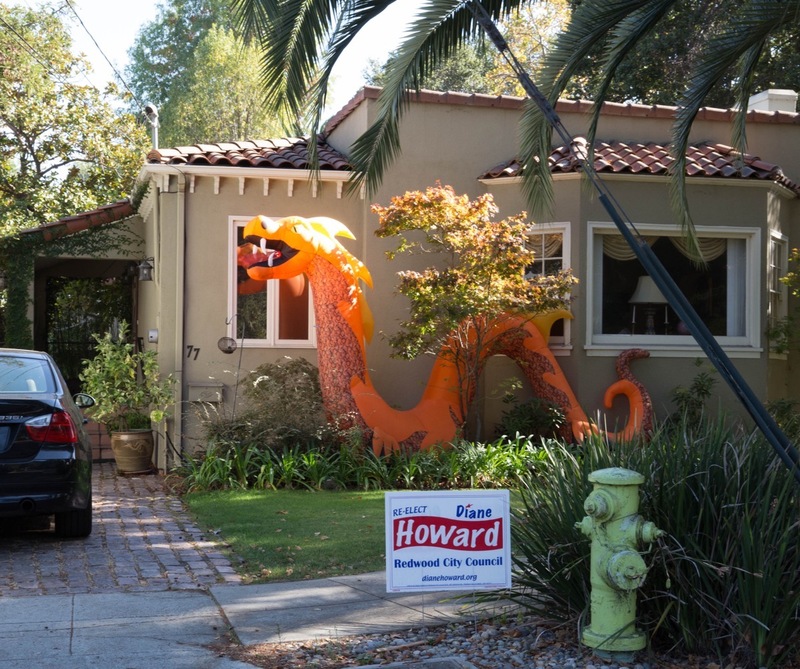 With Halloween fast approaching, I’ve been on the lookout for houses that really celebrate the holiday. Because Halloween is still almost a week away, I know that many have yet to put up their decorations. 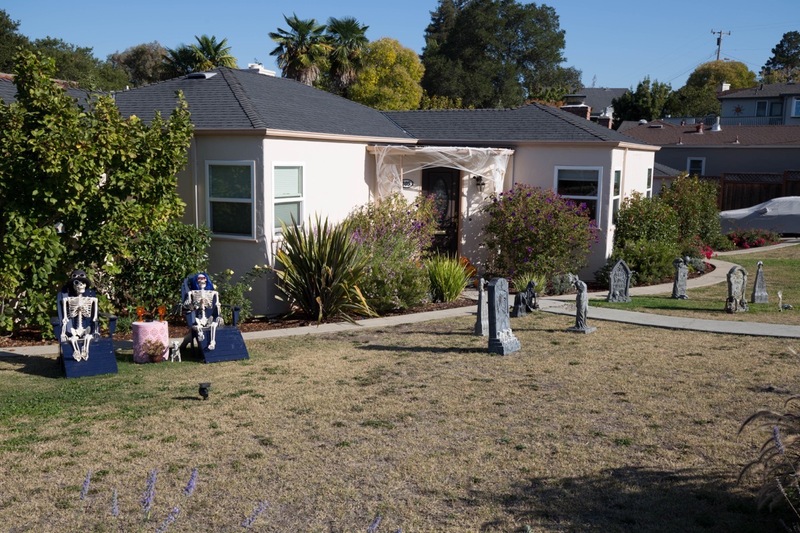 Operating on the theory that most of the people who are seriously into the holiday put up their decorations well in advance of the big night, though, I spent some time this week covering as much ground as I could, looking for homes decorated for Halloween. 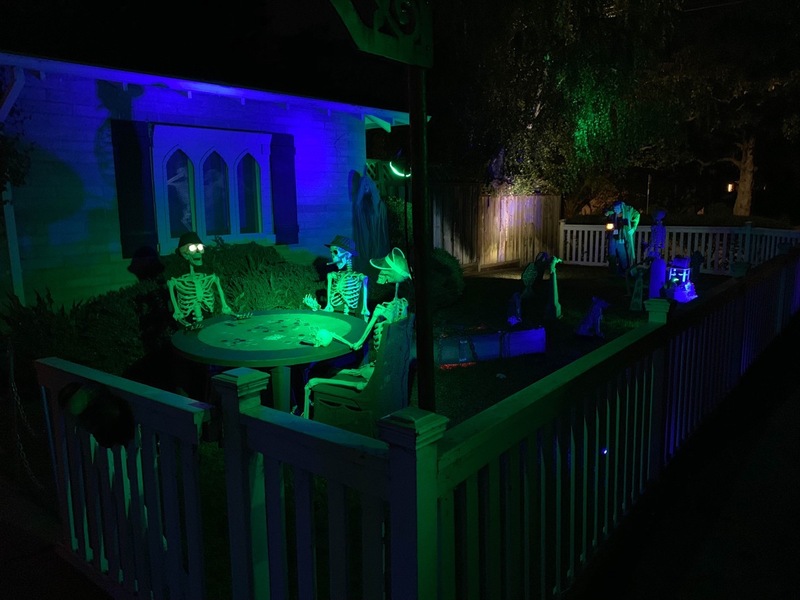 Halloween displays are best viewed at night, while I of course do most of my exploring during the day, so when I see a house that has been decorated I sometimes have to use my imagination. 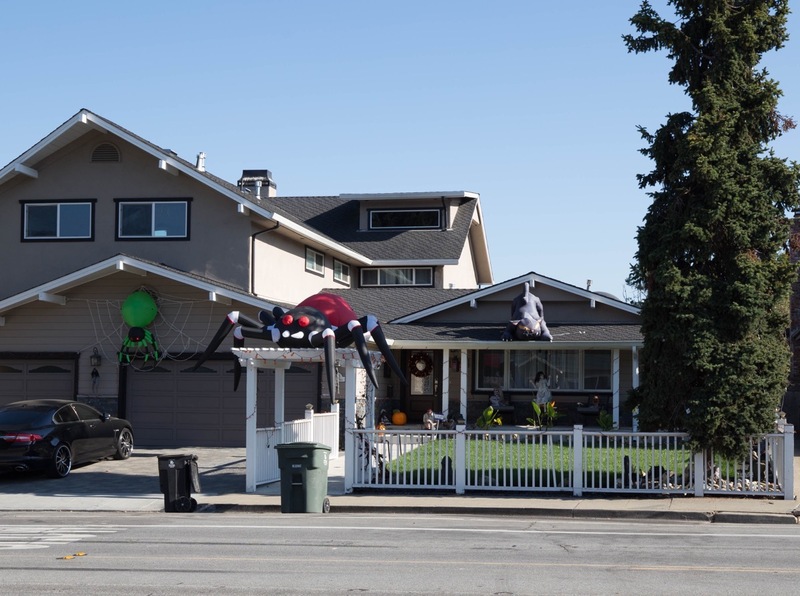 Especially when some or all of the decorations follow recent trends and consist of inflatable black cats, spiders, ghosts, and the like: many of those seem to be on timers, and only inflate during the evening hours. And more and more houses are using strings of holiday lights colored for the season: Christmas lights, basically, but ones that contain predominantly orange bulbs. Those are hard to see in the daytime, since they are not illuminated. 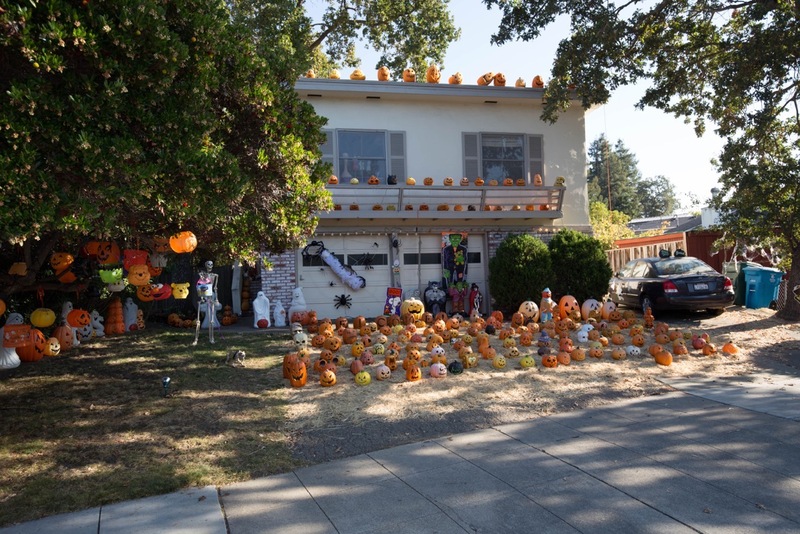 But I did see plenty of homes that, even in the daytime, proudly display their Halloween spirit. 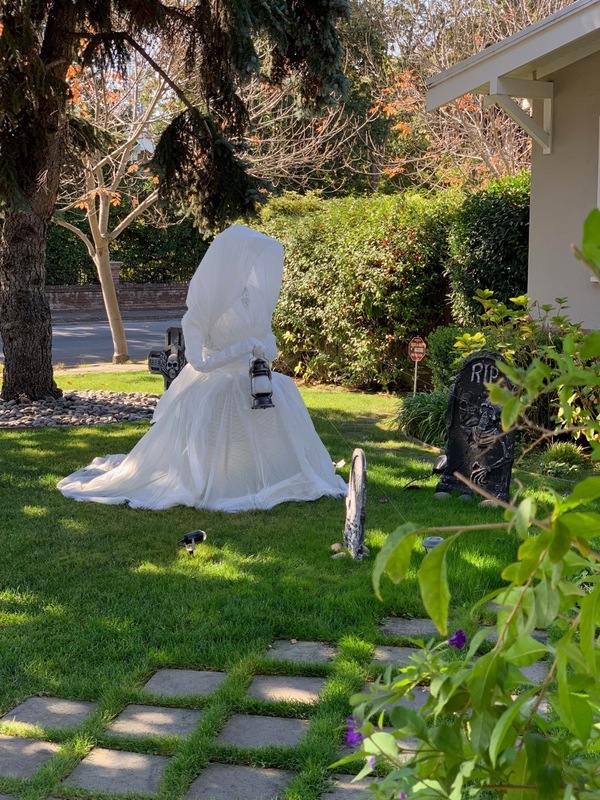 That ghostly bride figure is extremely well done. It appears that her internal framework is made of chicken wire, with some sort of gauze draped over it. Relatively simple, but highly effective. They seem to be keeping their decorations inflated all day long. The black-and-red spider particularly caught my eye, but when I stopped to take a picture I noticed the cat on the roof, who moves his head back and forth. The green spider over the garage appears to have light-up eyes; I’m guessing that they may be motion activated. 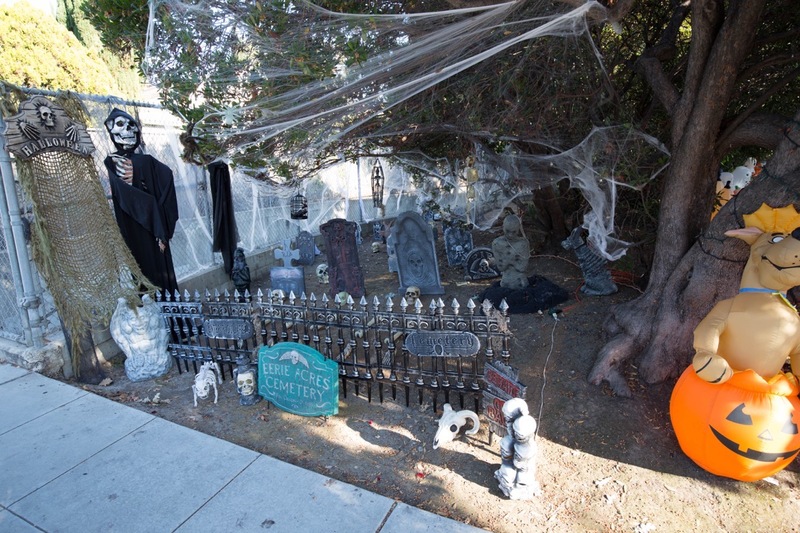 And finally, I really like the skeleton on the porch swing. The whole display is so over the top that for some reason I find it charming. I for one hope that they keep it up! I grew up building haunted houses with my best friend in his family’s garage, and my favorite Disneyland attraction is the Haunted Mansion, so naturally I’ve always loved Halloween. For some reason, though, I never really got into decorating my own house — as much as my kids wanted me to! I did enjoy taking them around the neighborhood on Halloween night when my kids were younger, though. 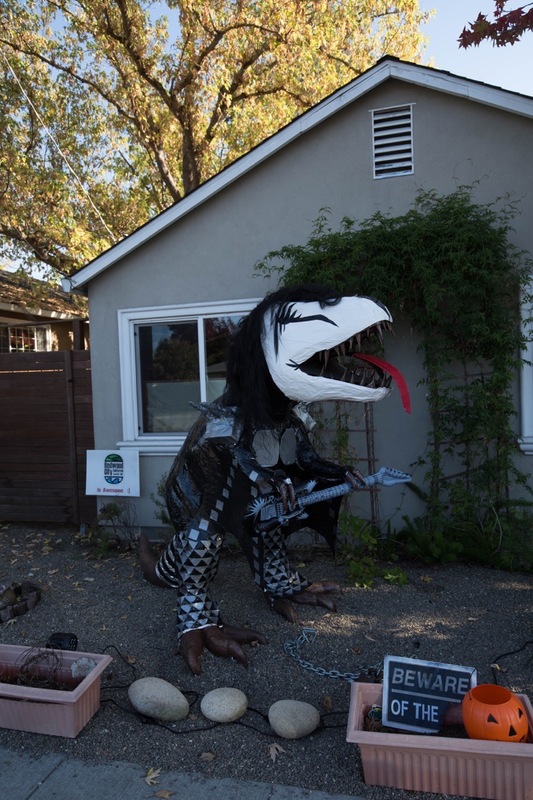 It gave me a chance to see and admire the various Halloween setups that various neighbors had, and I enjoyed running into friends and neighbors out taking their own kids around. 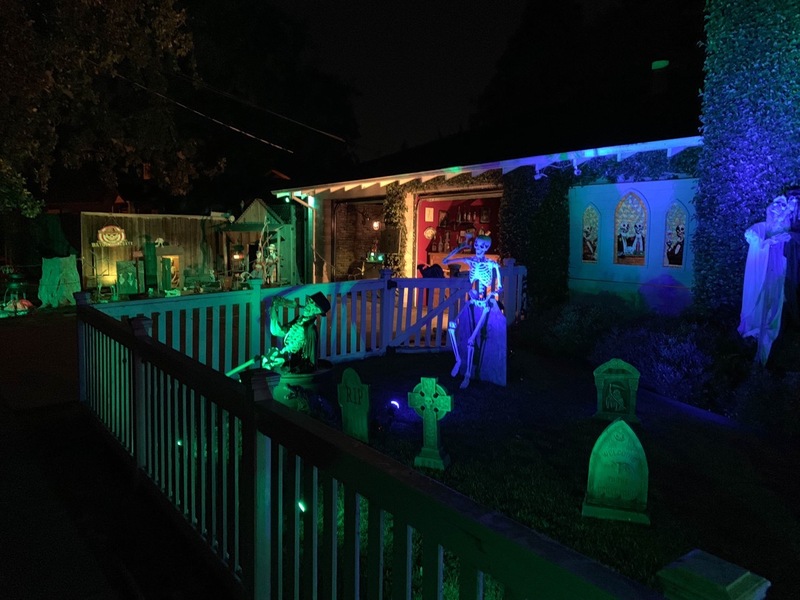 Halloween is a somewhat polarizing holiday: it seems that people either really love it, or they don’t care for it at all. Fortunately, those that don’t care for it need not participate, whereas the rest of us can enjoy the fun that comes around but once a year. With my kids long out of the house, Halloween doesn’t have quite the same impact that it once did, but I’m still happy to pass out candy to those kids who still find it magical. I’ll try to drop by tonight in the hopes that their decorations are still up. Unfortunately I cannot be everywhere, and thus cannot hope to know of all the great displays that are undoubtedly out there. Thanks for letting me know about this one! Thanks for featuring our sunning skeletons! We are on the corner of Nevada and Katherine. Check us out at night too!